Excellence in bariatric surgery begins with a creating a treatment plan that includes establishing your weight loss goals and then together, deciding on the safest and most effective surgical option for each patient. Communication, compassion and long-term relationships are important to our doctors, our staff and your weight loss success. Let us know what is on your mind and please ask questions. We will help you realize that an investment in yourself, will pay dividends for a lifetime. Our doctors and staff are caring, skilled professionals, dedicated to helping you navigate the path to weight loss and a healthier, happier more active lifestyle. 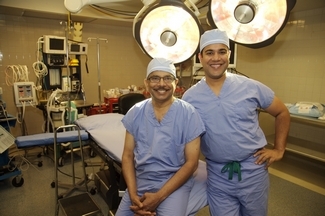 Click on the links below to learn more about our skilled surgeons.